Using HydroSpike is convenient, but when you want to increase your supply of water, “daisy chain” a series of water containers with some tubing and use the siphon principle to increase the supply of water to your plants. 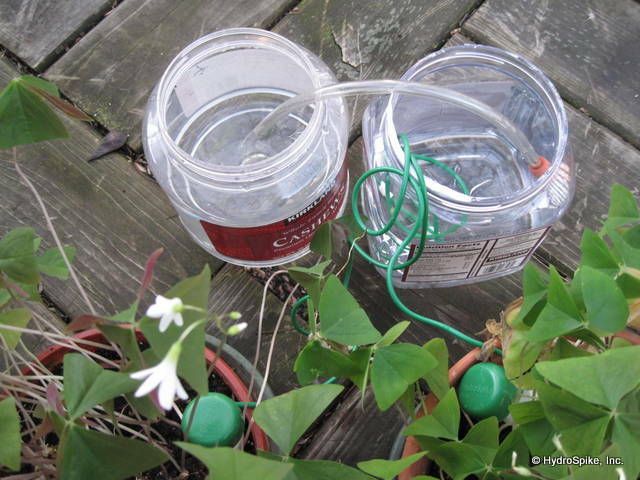 One of our customers also suggests to use standard tubing, for example 1/4 inch diameter when connecting the water containers. Thanks for great feedback HydroSpike customers! You guys are the best!